The boys touched down at Prestwick Airport in the early hours of Monday morning after another memorable European experience. 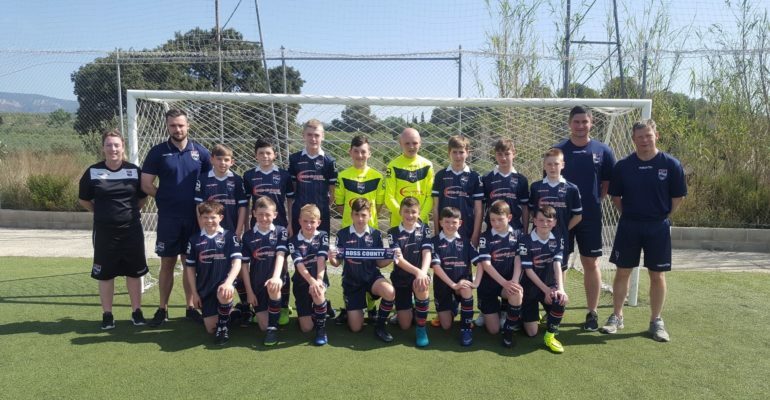 Our under 13’s and under 15’s squad took part in the international youth tournament The Costa Daurada Cup in Salou, Spain from the 12th – 17th April. 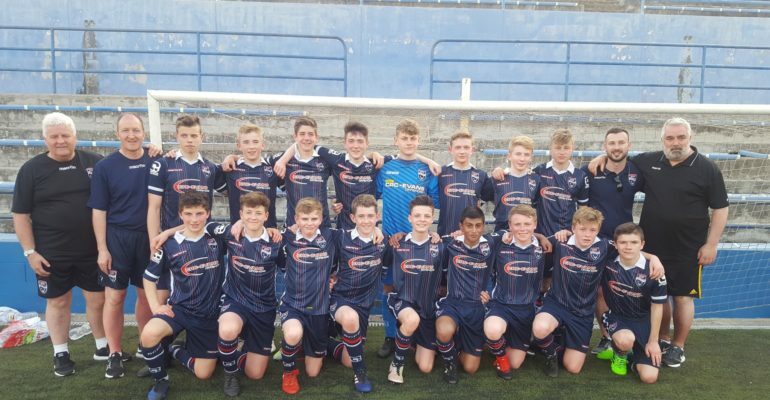 This is the second year we have taken part in the tournament with the boys looking forward to making their mark on the tournament just as our present U14’s and U16’s had done with a quarter final defeat and winners medal secured in 2016. 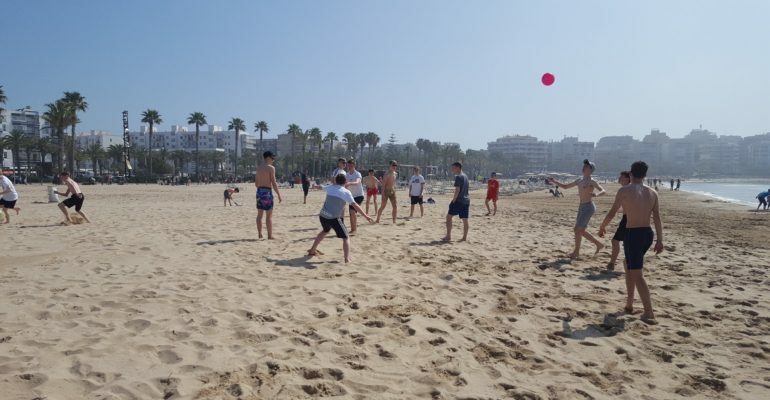 We arrived in Spain on Wednesday 12th April and had a free day on the Thursday 13th where the boys could enjoy the fantastic Regina Hotels 4* all-inclusive facilities with a 5 minute walk to the beautiful sandy beach of Salou. 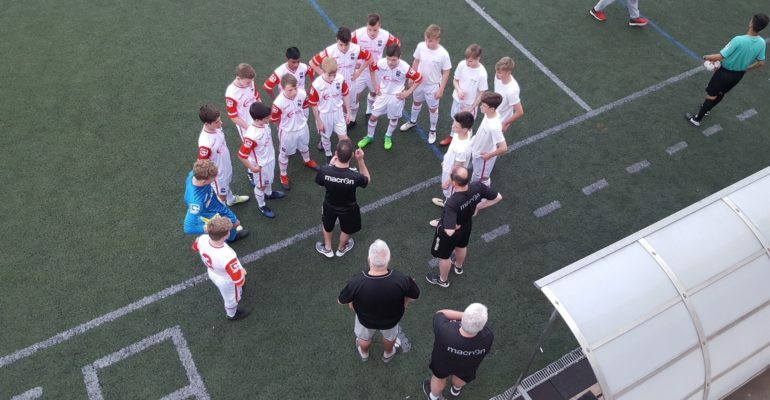 *Under 15s won 3 – 2 in penalty shoot out. *15s player Tomas Brady finished as the tournaments top scorer with 6 goals. Head of Youth Development Steven Ferguson was again delighted with how the trip went and the way all the players and coaches involved conducted themselves both on and of the pitch. Being able to pit their wits against different footballing styles and cultures is a very appealing test for the players and one that they love and look forward to the most but as well as dealing with the football our young players are dealing with so much more off the pitch, like being away from their parents (some for the first time), traveling abroad (some for the first time) and following a professional youth player code of conduct. 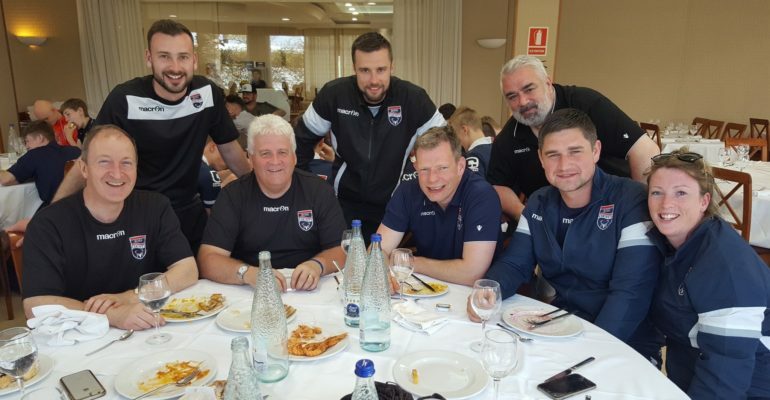 My job was made easy over in Spain due to the fantastic job the coachng staff done, we were lucky to have such a dedicated, decorated group travelling with the boys (2 x pro licence, Elite Youth Licence, Advanced Children’s licence, B licence, 3 x C licence) that would have been the envy of many a larger City Club offering the players encouragement, support and advise as often as they could. 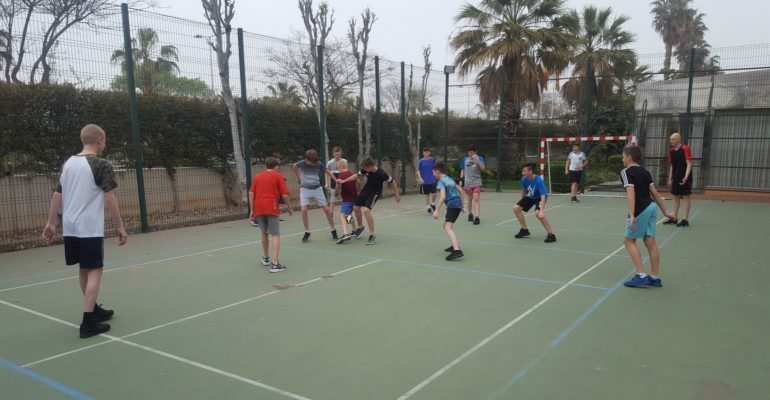 It’s a big responsibility in looking to give our young players an unbelievable experience that you hope they will remember for a long time but when you see first hand and hear on our return how much they have enjoyed the trip you realise all the hard work is 100% worth it. Thanks to the local community, parents, families and friends who made a massive contrubution to our fundraising efforts this year with a special mention to Maria Harcus, Ian MacKenzie and Robbie Williamson. Thanks to RCFC board of directors, Jim McIntyre, Billy Dodds and every first team player for their contribution. TRAIN LIKE A PRO RETURNS THIS EASTER HOLIDAY’S!